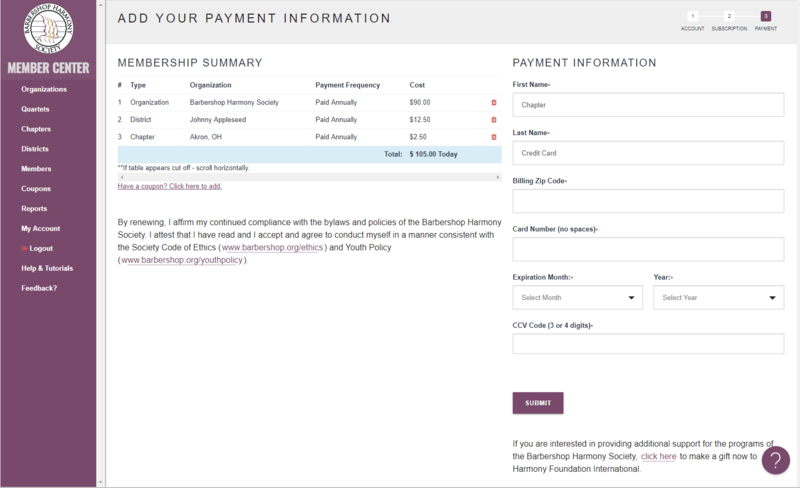 The BHS Member Center has the added functionality that a chapter leader (president, secretary or treasurer) can now pay the dues for a member of their chapter. 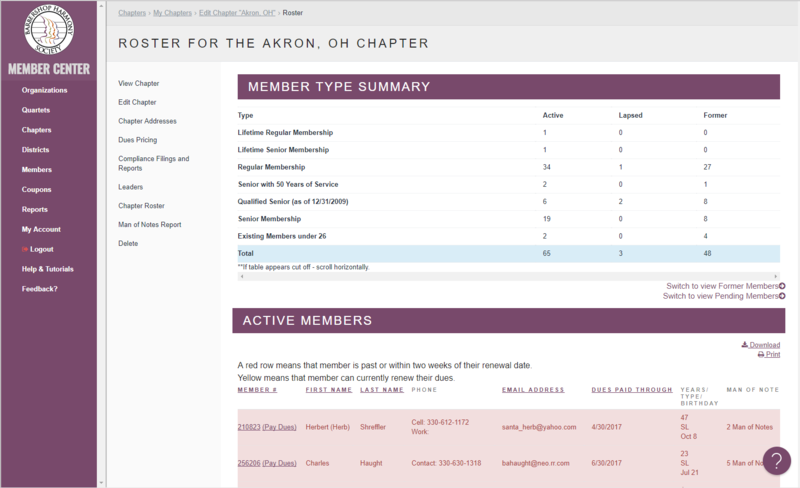 Existing Members who are already included on your chapter roster can be renewed by a chapter officer listed above. Scroll down to where your members are listed. Those who are listed as past due (red) or coming due (yellow) will appear. You should notice that those who can be renewed by you will have (Pay Dues) next to their member ID#. Select the (Pay Dues) option for the member you'd like to pay for. After selecting you should see a screen similar to below. Enter the First Name and Last Name of the card holder. The Billing Zip Code (or postal code) associated with the card. Enter the Card Number with NO spaces. Lastly, enter the CVV (3 or 4 digit code associated with card). When finished entering the information, press Submit. A confirmation screen will appear that you can print for your chapter records. Similarly, an email automatically will be sent to the Member that you renewed. Please note: An email does NOT go to the person who renewed the dues on behalf of the member. Print the confirmation screen for your records.